So I was scrolling on Insa the other day (as one does) and came across the news that there may possibly be a third installment of the Princess Diaries! Shut up! I am a die-hard Julie Andrews AND Anne Hathaway fan so this series was a huge part of my teen years and I am ecstatic at the thought of there being yet another one! Anne Hathaway apparently told Andy Cohen that there is a script for the third movie and that Julie might even be in it! This would totally make my day! Long reign Amelia Mighnoette Thermopolis Renaldi, Princess of Genovia! Seeing as it was my birthday las Sunday, I got plenty of birthday emails from my favourite shopping spots. On Monday, I went to the mall and did the rounds! 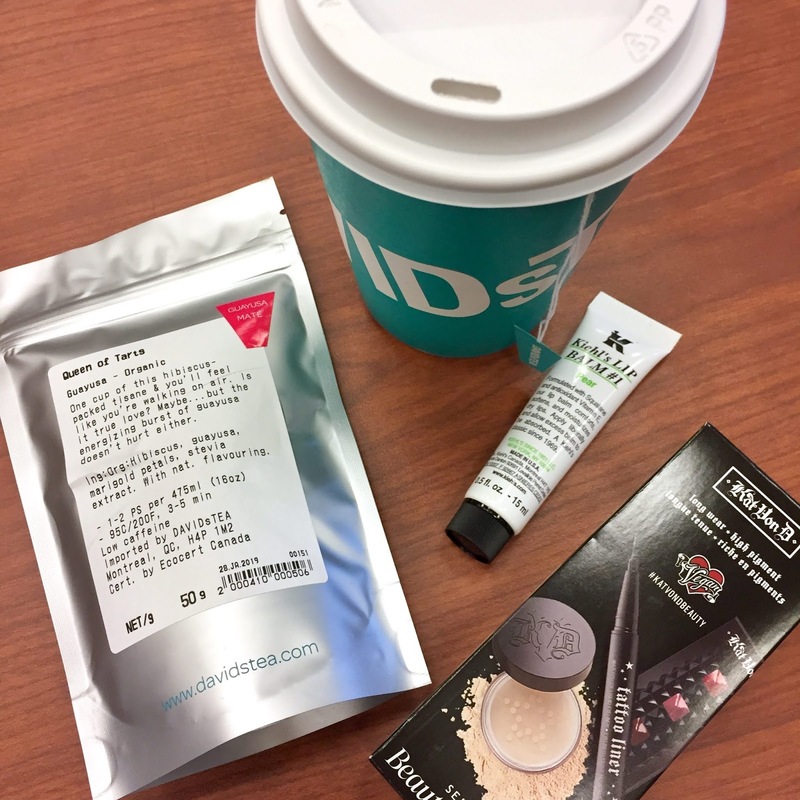 I picked up my free tea from David's Tea (and also had 50g of free tea on my account, so that was a great bonus), I stopped by Keihl's for a free lip balm and spun by Sephora to pick one of two gift options. I chose the Kat von D set! It has red lipstick and a black liquid liner, so that was enough to make me pick that one! It was really nice leaving the mall with a bag full of goodies and not having cracked open my wallet once! I did also get a bunch of email coupon codes for places, but having just gotten married, I'm raining in the spending a bit. This was great timing because I got my shopping fix without spending a dime! Ever since this summer, I've been on a headband kick. 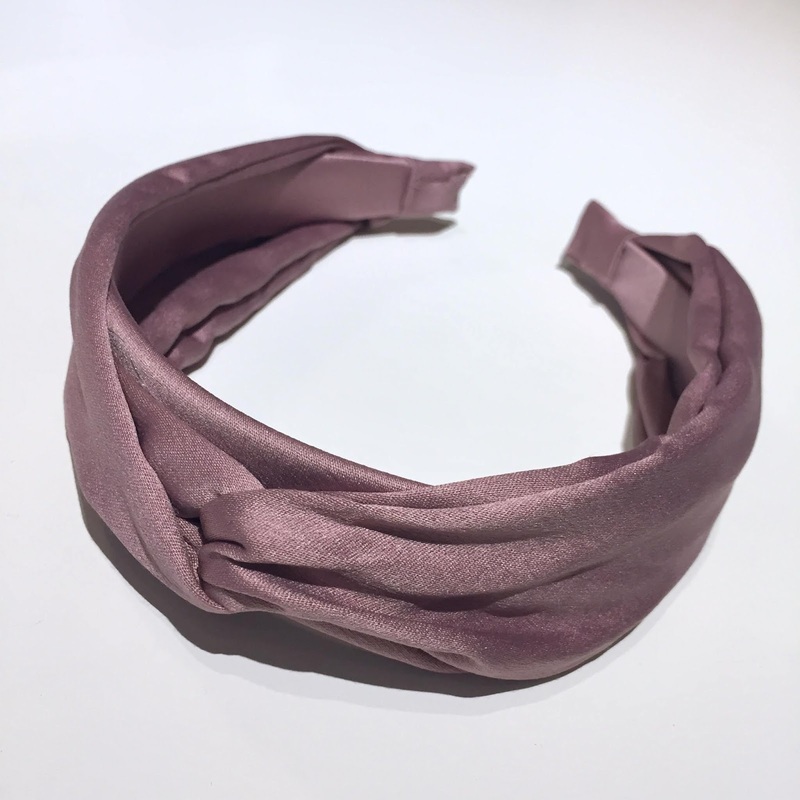 I have to credit Blair Eadie (from Atlantic-Pacific) and the Duchess of Cambridge for the combined inspiration because I can't get enough this accessory! I know headbands have been around for years, but they've been reinvented and are bolder than ever. The best part is that they are super easy to find and a lot of stores are carrying them. I have not stopped wearing the black velvet pearled one I got from Simons last fall. It's such a statement piece! I've been slowly growing my collection and this lilac one is the latest addition. I got it on clearance from American Eagle for seven dollars. It's the perfect shade of not quite pink/not quite purple pastel. It's going to be great come spring! About a year ago, my uncle hooked me up with some Doterra essential oils and a diffuser and I've been loving it! 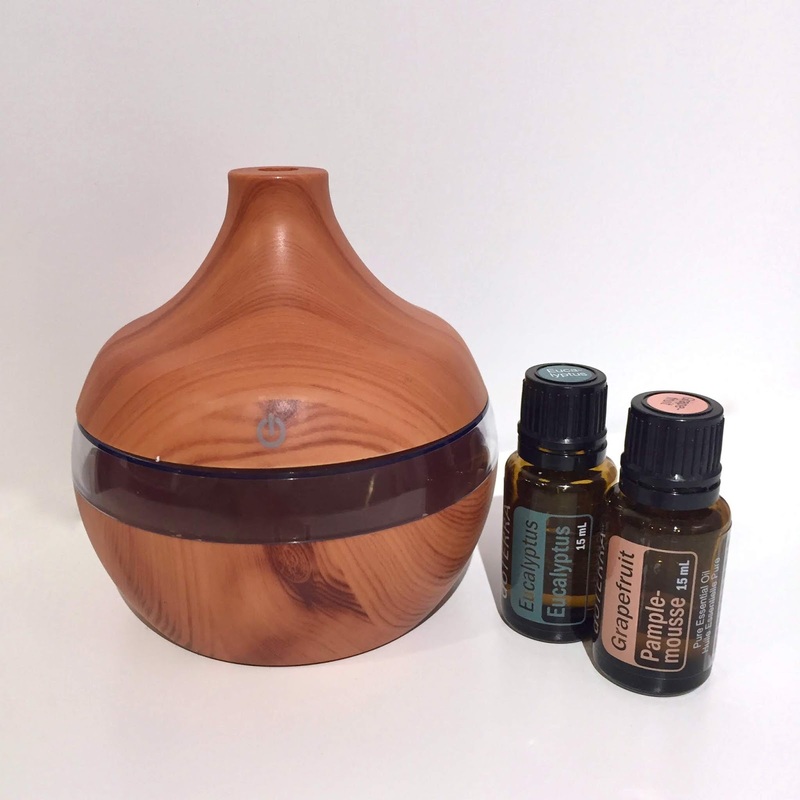 I use my oils in all kinds of ways, but my favourite way is to use them in a diffuser. I have a very keen sense of smell and nothing beats a great, fresh scent! Depending on the day, my mood or what I'm doing, I'll pick a different oil or blend them as I please. The possibilities are endless and I find myself looking up essential oil blend "recipes" on Pinterest (of all things...) When we first got a diffuser, we put it on the kitchen island. Then, my mom got a super fancy one for my husband's man cave. I got him his very own scents for Christmas (cedar and sweetgrass). He's a nature boy, so those smells take him back to the woods and open spaces. Well, as luck would have it, he got me my very own diffuser for my birthday! It's a really cute little one that I can put in my creative space/home office. Now, we have one on every floor! I much prefers diffuser to those crazy perfumed wall plug-ins. Last, but not least, I present to you my closet MVP as of late. I sort of bought these pink velvet pants on a whim this fall and can't seem to stop wearing them... I've never been the biggest fan of pink. I mean, I like it, but don't absolutely adore it. For some reason, I gravitated towards these pants and turns out it was a great purchase. 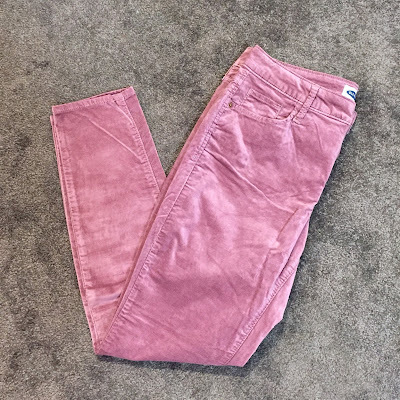 Maybe it's because they are velvet and are just that much warmer during these brutal winter days or maybe I just like the softer pink shade. Either way, I am wearing more pink and I'm ok with that.